What’s in a name – Teutoberg or Teutoburg? NO … it’s Witta! 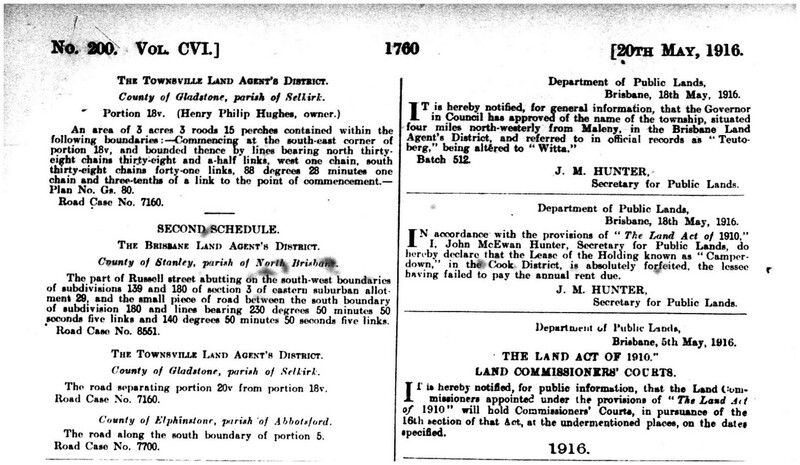 On 17 October 1887 an enterprising group of ex-German nationals selected land portions in the Blackall Range and formed the kernel of the new town of Teutoburg. 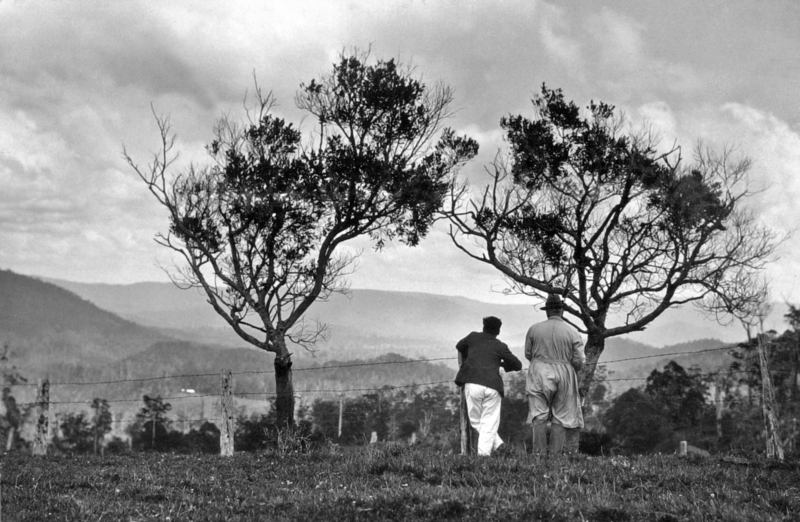 Situated about four miles north-west of Maleny, difficulties regarding the spelling of the town name rose early in the area’s history. 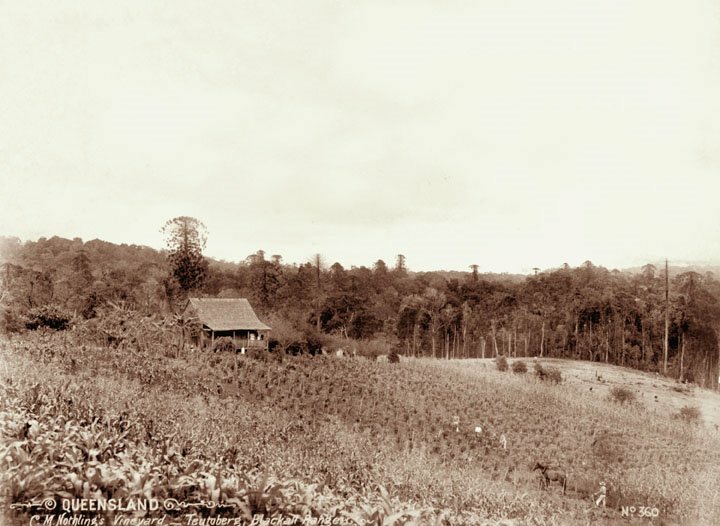 Correspondence from the residents of the area consistently called the area ‘Teutoburg’ but, as with this 1899 Lands Department photo of a settler’s vineyard, government employees referred to the town as ‘Teutoberg’. Both the Post Office Officials and The State Savings Bank spell the word “burg” and our German residents especially desire it “Teutoburg” thus. 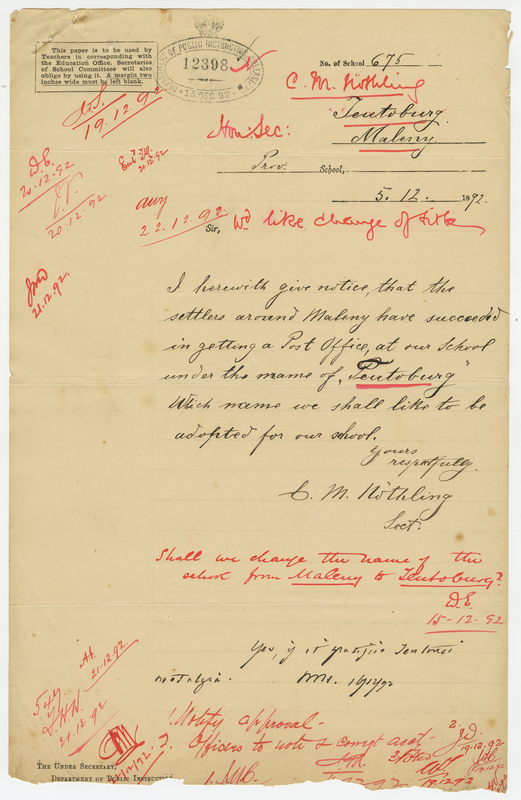 The common mix up between Teutoberg and Teutoburg became a moot point when the town was declared Witta on 18 May 1916, and recorded in the Queensland Government Gazette on 20 May 1916. The word Witta is believed to be a corruption of the Kabi word for dingo, “wetya”. Several Queensland towns had name changes during the war years, as well as towns in New South Wales, South Australia, Tasmania, Victoria and Western Australia. 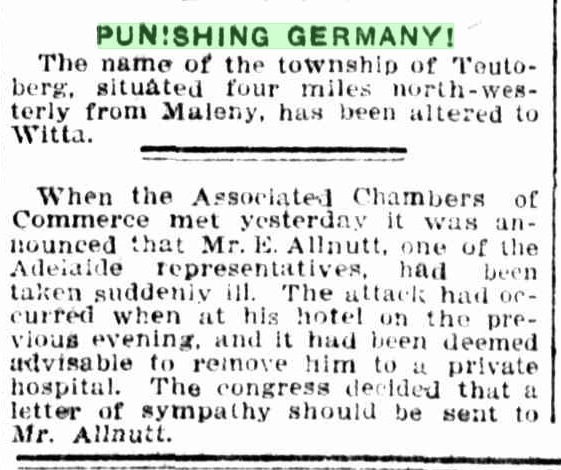 As for the name Teutoburg? Maybe it was taken from Teutoburg Forest located in Germany where one of the most famous battles from ancient history took place. When a coalition of Germanic tribes defeated the 17th, 18th, and 19th legions, forcing their leader Publius Quintilius Varus to commit suicide. The result of the battle itself meant that Germania would remain forever independent and never become part of the Roman Empire!